LG has found quite the niche with their smartphones in the entry and mid-market areas. 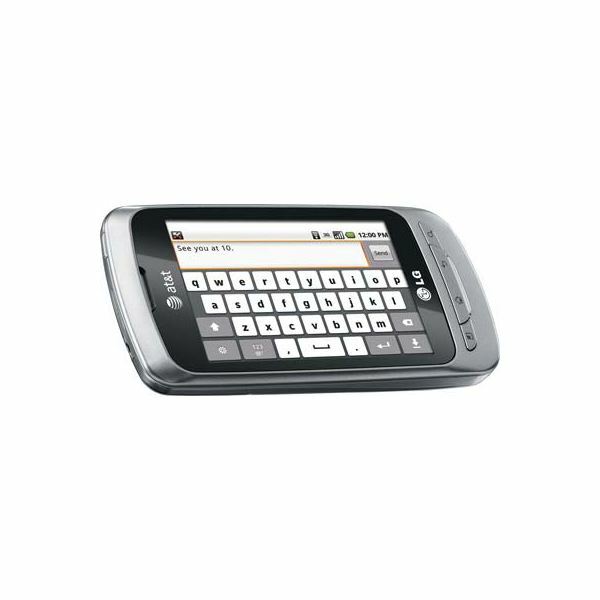 The LG Optimus series, consisting of the Optimus T, U, V, S, M, C and the Vortex have all aimed for the same entry to mid-level market across all the U.S. carriers, both national and regional. The LG Thrive is very much similar, aiming at the same market, but this time for AT&T. In fact, the Thrive is the first prepaid smartphone to be offered on AT&T's network. LG may not be as prominent as their Korean competitor Samsung, but they're slowly on the rise and this release is yet another step into the U.S. market. The LG Thrive follows in the footsteps of other Android smartphones, coming in a candy bar shaped design with a 3.2 inch LCD touchscreen display dominating the front of the light, small smartphone. On the left edge resides the volume rocker, while the right edge remains barren. At the bottom resides the microUSB and up top resides the 3.5 mm headphone jack and power / lock button. The now standard shortcuts for menu, home, back and search sit below the 3.2 inch LCD display. Speaking of the display, while it's not the greatest display currently in the market, it's still decent and the display angle is average. For an entry level smartphone, the colors come out bright, though sometimes some of the colors feel a bit lifeless and dull. Overall, however, the majority of colors display correctly and items show up nice and clean on the display. You cannot expect a fairly low priced phone to have an AMOLED screen like that on the Samsung Captivate. The phone comes with a 600 MHz ARM 11 processor, which is decent for the entry level market. Its main competitors, ironically enough are within its own family tree of LG Optimus smartphones, all of which have 600 MHz processors. The LG Thrive, like its brethren, is decent, and though there is a bit of lag here and there, overall it performs very well. Unlike higher end smartphones such as the HTC EVO 3D or even the T-Mobile G2, the Thrive can be bogged down if just a few applications are running simultaneously. 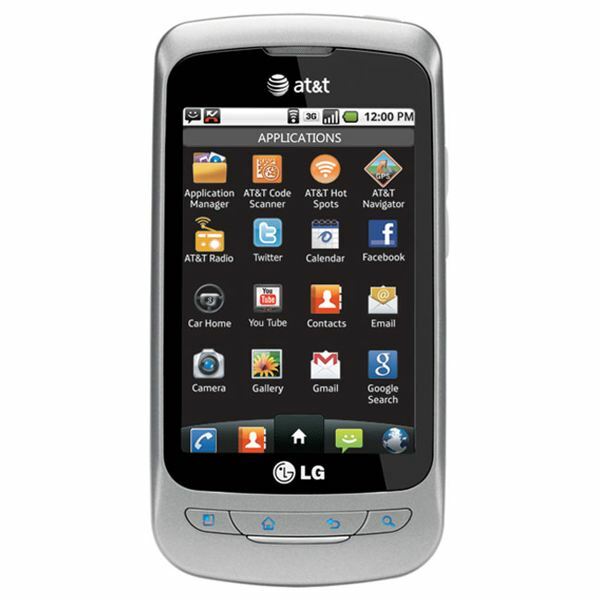 Running on the 600 MHz processor is a preloaded version of Android 2.2 with a slight modification by LG. The overlay created by LG is non-obtrusive and can easily be ignored. While the phone does run on Android 2.2, it is not natively able to play Adobe Flash files, very much like its brethren in the LG Optimus line up. It seems the hardware is not up to par to run Adobe Flash files smoothly. The LG Thrive, like all other Android powered smartphones, is extremely easy to use, thanks to the fact that the interface is all based on touch. The different touch gestures are easy to understand and intuitive, while the customizable aspects put this release higher up on the list than other smartphones. The AT&T Go prepaid selection of smartphones is currently limited and the Thrive stands out as an easy to use, easy to master, touchscreen smartphone to purchase. Unlike the LG Optimus T, the LG Thrive does not come with a stock version of Android, which is a bit of a negative, but the LG overlay is very simple and not too noticeable. The only major differences caused by the LG overlay on top of Android are the bottom shortcuts, which end up being pretty useful. In addition, the lock widget is a bit different which is always welcome. Overall, the user interface on this phone is like other Android powered smartphones — simple. The only question is whether or not the upgrade to the next version of Android will be a simple affair through over the air updates or if more user action will be required for the update as was needed on the Samsung Vibrant. LG has promised that the LG Optimus line up will received Android 2.3, and one can only assume the Thrive is also included. environment where Android smartphones seem to pop out almost once a month, there is still a market that is out there that has not used Android smartphones. The LG Thrive is among the first smartphones to be made available on AT&T's prepaid plan with Android acting as a cherry on top. Since the Thrive does run on Android, it has access to multiple different outlets for thousands upon thousands of different applications. While the Thrive may have problems running some applications, the majority easily run on the smartphone with no major problems. The phone also comes with a 3.2 megapixel camera, which may not be the best, but is more than decent. The VGA recording is passable, but if you have a separate digital camera, it may be better to rely on the camera than on the Thrive. However, if no other camera is available, the phone's camera will do in those tight situations. Overall the LG Thrive is simply an 'Average' ranked smartphone. The Thrive could easily have slipped to the 'Below Average' ranking mainly due to the timing of its release. It is at the tail end of releases in the LG Optimus line up and in a competitive market, being late to the scene is never a good thing. Overall though, for an entry level smartphone, the LG Thrive easily performs as its name suggests, it thrives in the U.S. market. Though, for how long it will stay a success on AT&T's prepaid lineup has yet to be determined.